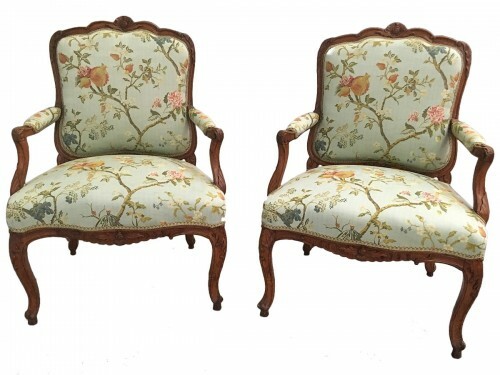 Fine Louis XV armchair by Etienne MEUNIER with a floral-carved back above incurved sides and similarly-carved seat rails and feet, stamped E. MEVNIER three times. Upholstered in velvet "Jean-Paul Gaultier par Lelièvre Paris". 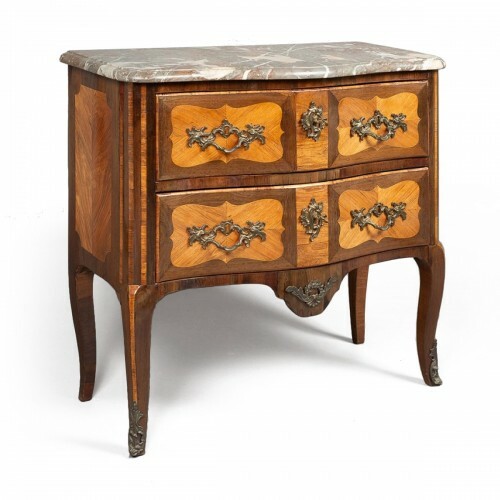 Etienne MEUNIER became a master furniture maker circa 1732. He established the MEUNIER dynasty and was its most eminent member. He produced different kinds of furniture, including daybeds, but is best known for his chairs. He crafted chairs of many kinds: desk chairs, armchairs with light and graceful curved backs, and chairs with carefully designed flowing curves. Etienne MEUNIER’s style was very simple. 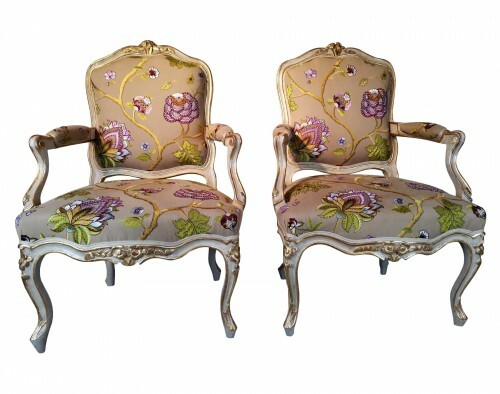 He often decorated his chairs with flower heads used in a very restrained manner to harmonize and soften any severe lines of the furniture. 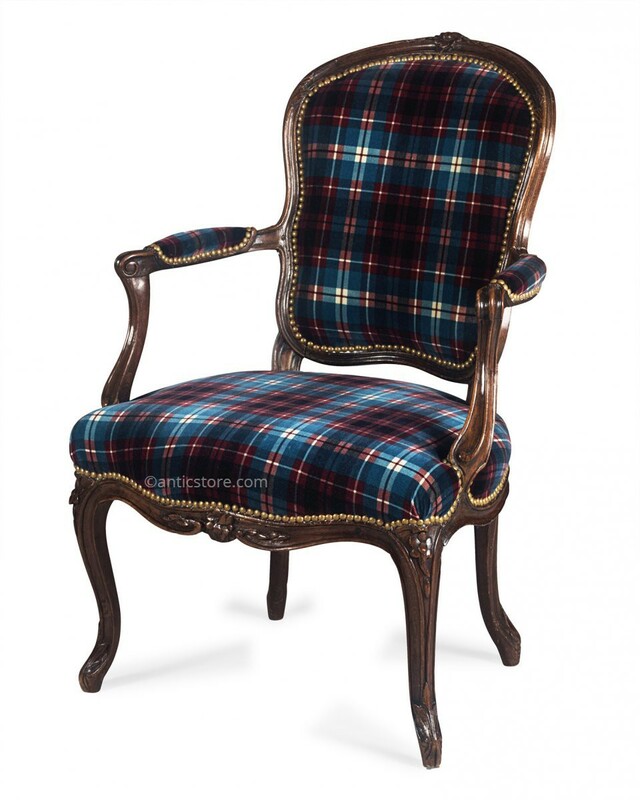 The velvet by Jean-Paul GAULTIER combined tradition and modernity, with the collaboration between one of the most talented couturier of the world and one of the best velvet maker in the world, since 100 years in 2017. 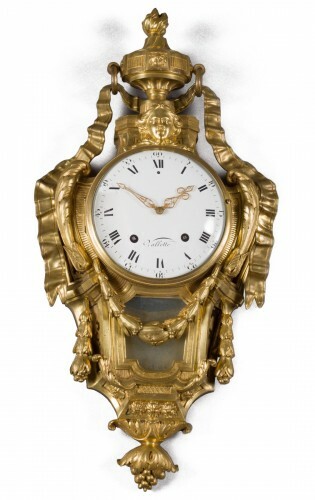 Haute couture, interior design, and fine antiques intersect and mix with elegance. 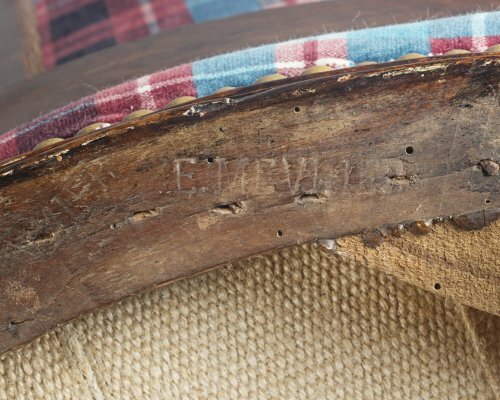 Chairs stamped by Etienne MEUNIER are in the collections of the most famous museums dedicated to the furniture of the 18th century. 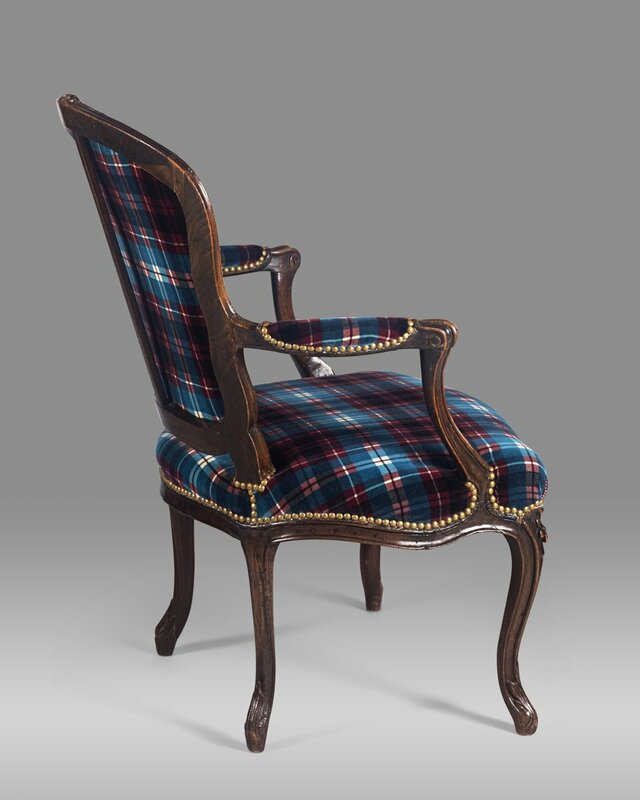 - PARIS, MUSÉE DES ARTS DÉCORATIFS : Louis XV desk armchair. - PARIS, MUSÉE DES ARTS DÉCORATIFS : Louis XV "à la reine" armchair. 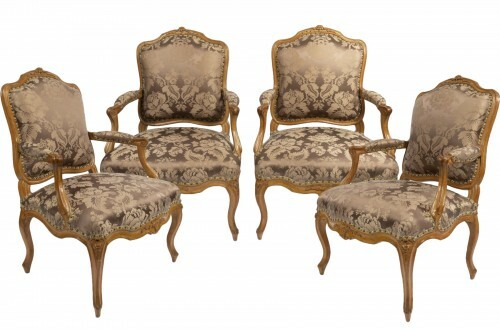 - Paris, Musée Carnavalet : two "cabriolet" armchairs and a "bergère". 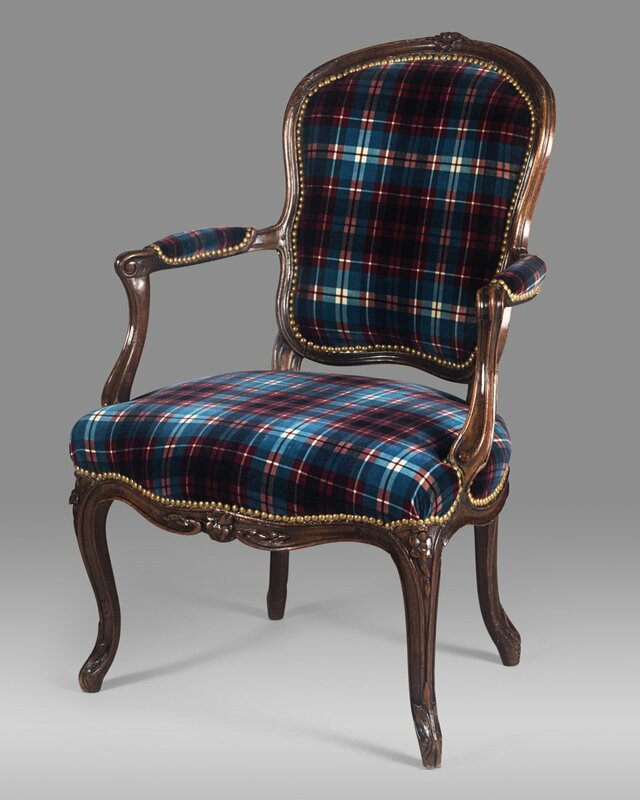 - PARIS, MUSÉE JACQUEMART-ANDRÉ : Louis XV desk armchair. 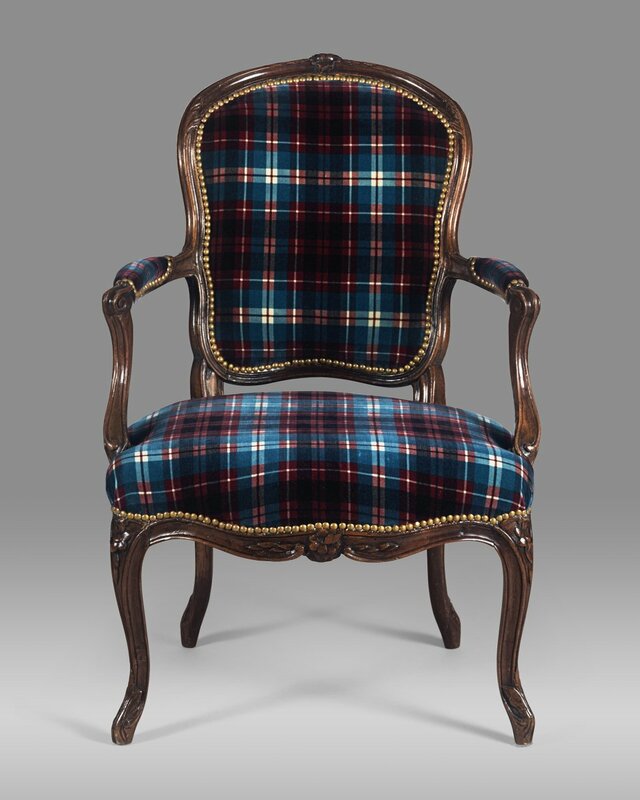 - PARIS, MUSÉE DU LOUVRE : Louis XV cabinet armchair. 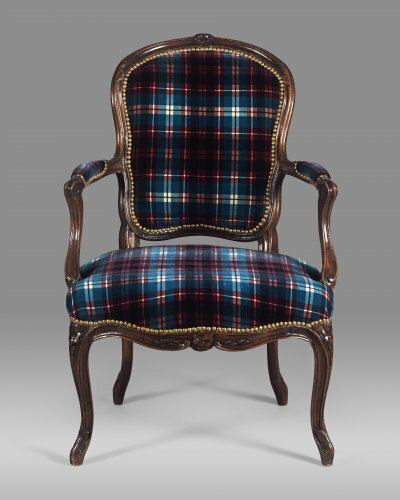 - ÉVREUX, MUSÉE D’ART, HISTOIRE ET ARCHÉOLOGIE : "à la reine" armchair. 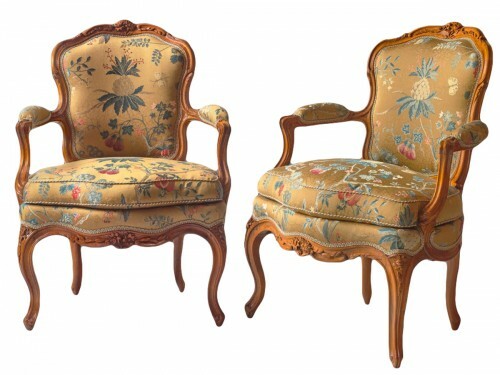 - SAINTE-MENEHOULD, MUSÉE D’ART ET D’HISTOIRE : Pair of "cabriolet" armchairs. - STRASBOURG, MUSÉE DES ARTS DÉCORATIFS : Louis XV desk chair. 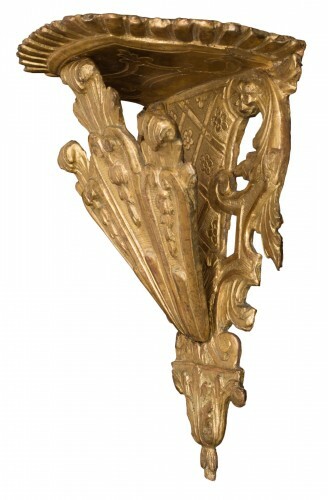 - AMSTERDAM, RIJKSMUSEUM - Louis XV desk armchair. 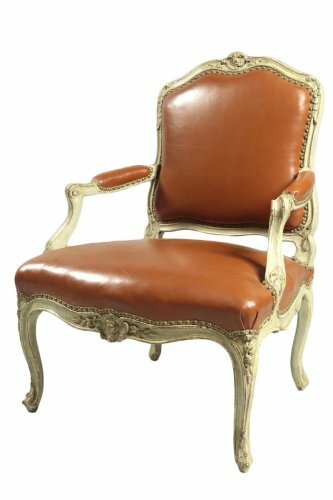 - LOS ANGELES, J.P. GETTY MUSEUM - Louis XV desk armchair.